The casket of the late former President George H.W. Bush arrives at the U.S. Capitol, December 3, 2018, in Washington, DC. A WWII combat veteran, Bush served as a member of Congress from Texas, ambassador to the United Nations, director of the CIA, vice president and 41st president of the United States. 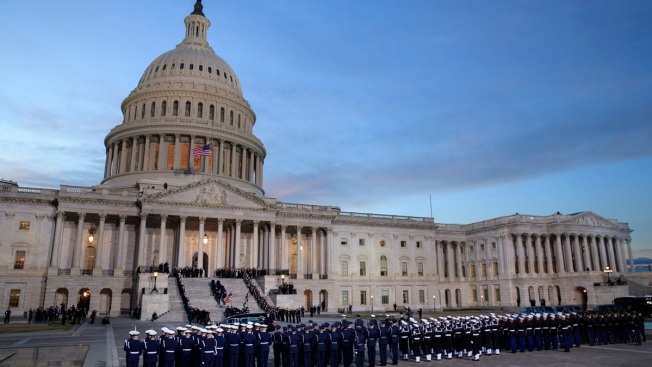 A state funeral for Bush will be held in Washington over the next three days, beginning with him lying in state in the U.S. Capitol Rotunda until Wednesday morning. 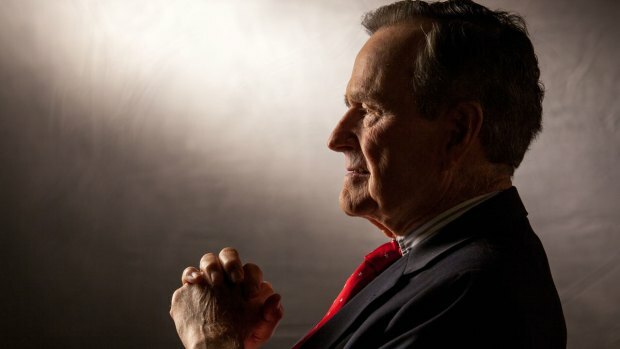 Bush died Friday night at his home in Houston. He was 94-years-old. His death was announced by his office and came less than eight months after his wife, Barbara Bush died. The two were married for 73 years. The U.S. Postal Service says they will limit package delivery service that day to ensure the network remains fluid in package deliveries. They added that the decision for limited deliveries is to not have any impacts that will negatively affect customers during the remainder of the holiday season.